This post is sponsored by Quaker, a brand we love. We’re excited to share their newest product with you! Which is why we were so excited to find out that Quaker had solved that problem for all of you busy girls (and for ourselves, too)! 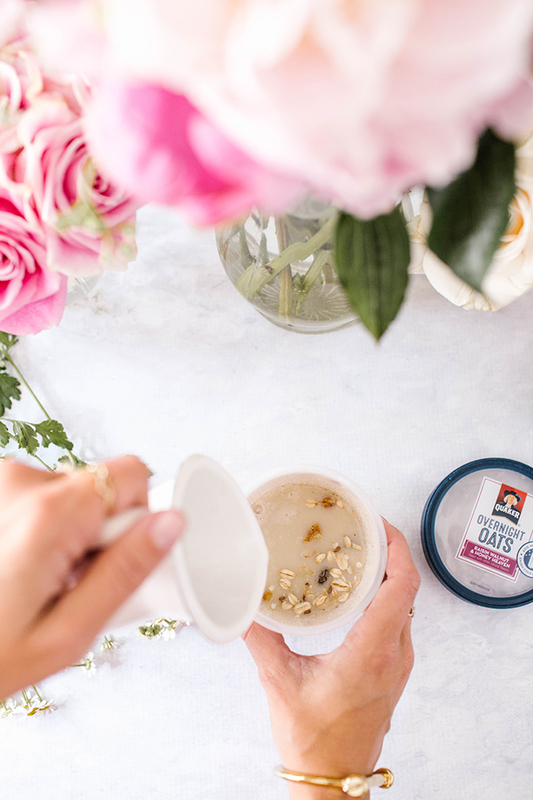 We’re excited to introduce you to Quaker’s Overnight Oats, which have totally revolutionized our morning routine. 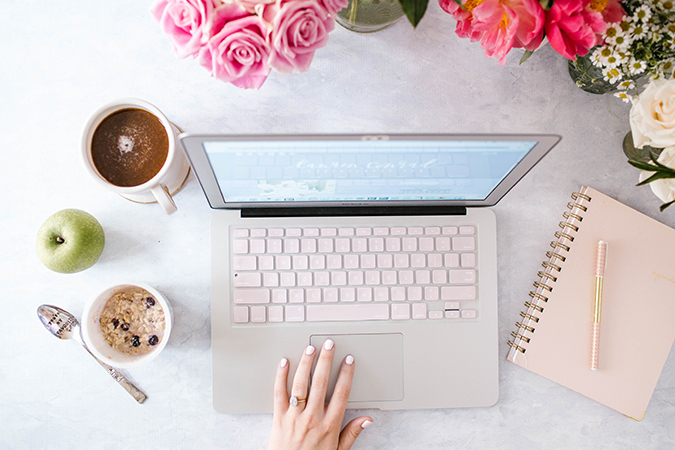 Say goodbye to the days of scrambling to put on makeup, walking the dog, curling your hair, picking out the perfect outfit AND whipping up a hearty breakfast, all before 8am. 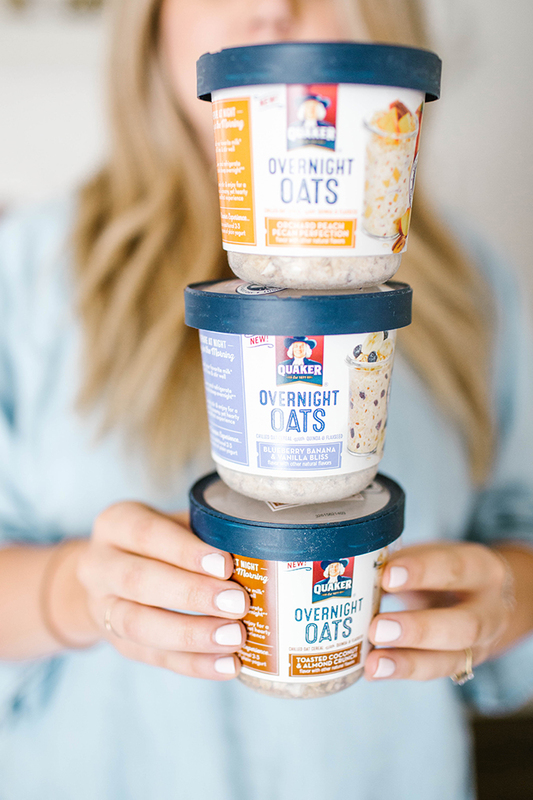 We’re going to show you just how easy it is (thanks to Quaker’s Overnight Oats) to have a hearty, nutritious and oh-so-yummy breakfast ready for you when you wake up in the morning, simply by spending a couple of minutes in the kitchen the night before. We’ve been on the overnight oats train for years now, and this easy-to-make and time-saving dish has been our go-to breakfast when things get extra busy. And now, the process of making overnight oats (and trying out new, fun flavors) is made even easier with Quaker Overnight Oats. They brought together all the key ingredients of a homemade overnight oats recipe, and put it all in one pretty package to help simplify your morning. And the best part? It only takes one simple step and a good night’s sleep for your delicious oats to be ready to eat the next morning. Simple as that! Preparing Quaker’s Overnight Oats literally could not be easier. At night, before you head off to bed, just add your favorite milk (we’ve been using unsweetened almond milk with these oats, which tastes amazing!) to the fill line inside of the cup and stir. Put the lid back on, set the cup in the fridge, and let the magic happen overnight. The oats will cold steep while you sleep, and when you wake up in the morning, breakfast is served—no additional prep required! Just make sure you let the oats steep in the fridge for at least six hours (just not more than 24). We tried all four flavors, and our favorites were the Blueberry Banana & Vanilla Bliss and Toasted Coconut & Almond Crunch. The Raisin Walnut & Honey Heaven was also delicious, and if you love summer fruit, we have a feeling you’ll love the Orchard Peach Pecan Perfection. 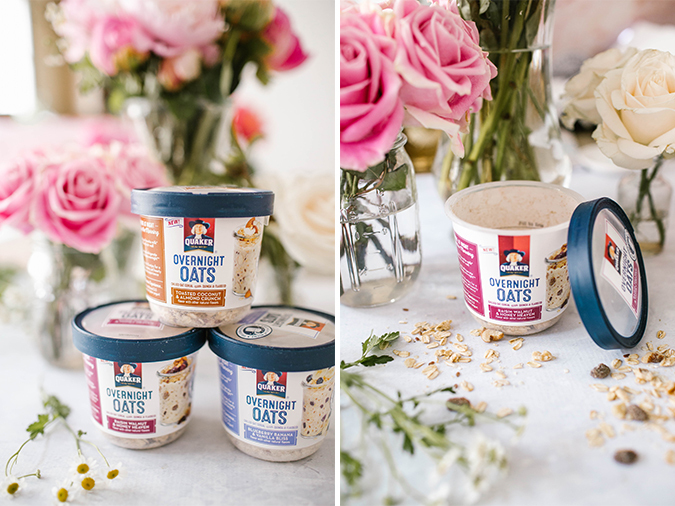 Aside from how great these overnight oats taste and how easy they are to make, we’re also huge fans because they’re made with 100% whole grain oats and other wholesome grains. There are no artificial flavors, no added colors, and are a good source of dietary fiber (10 grams of fat or less per container). When you wake up in the morning and you don’t even have to think about what you’re going to eat for breakfast (and it’s already made for you and ready to pull out of the refrigerator), it changes your whole morning. 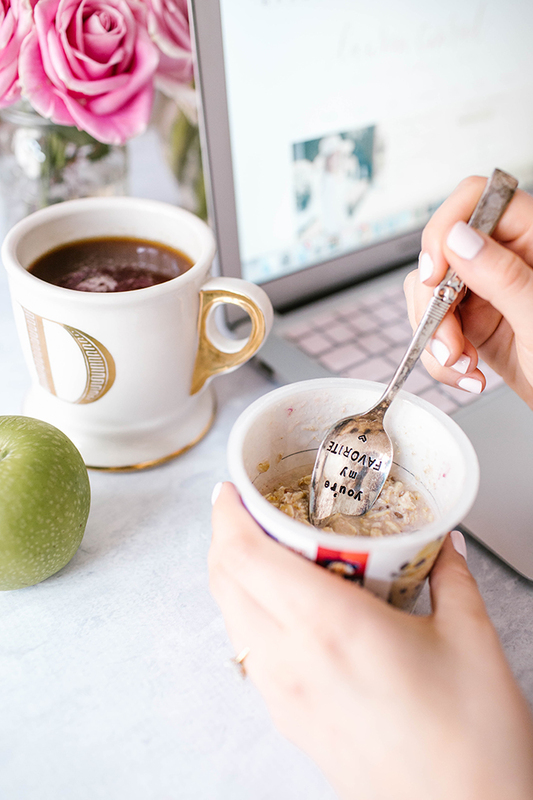 With Quaker’s Overnight Oats, you’ll have more time to focus on everything else that you need to get done before you start your day… and we know just how long that list can be! There you have it! 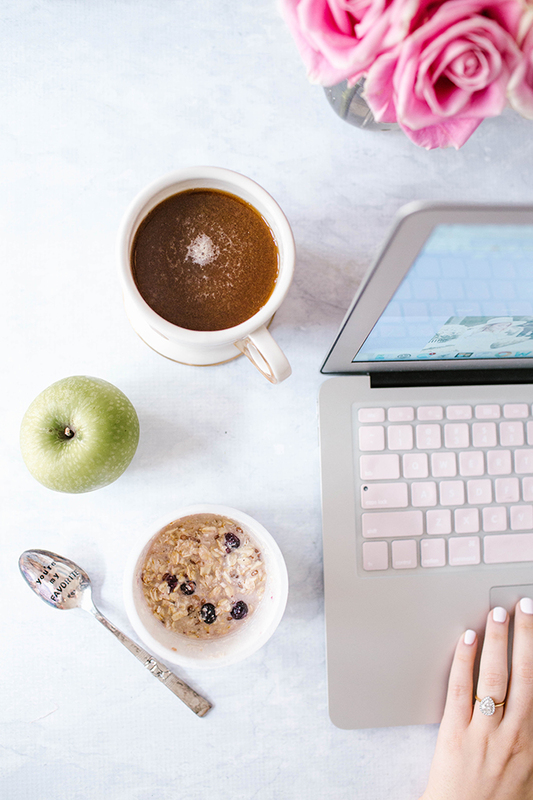 The busy girl’s guide to breakfast is as easy as steep, sleep and eat. 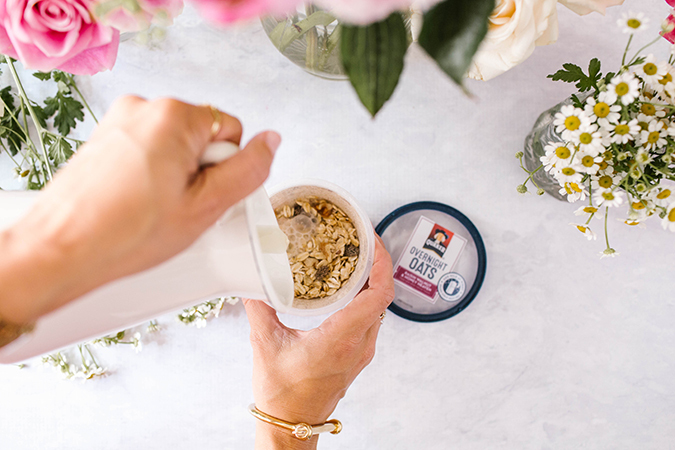 Click here to learn more about Quaker’s Overnight Oats, and keep us posted on how they make your mornings easier (and more delicious). Will you give these overnight oats a try? We’re excited for you to try them out, and we know you’ll love them as much as we do!